In March we were blessed with our first grandchild. Up until recently, he's been sleeping in a bassinet in Mom and Dad's room but soon he'll be graduating to a crib and moving to his own room. My daughter asked if I would help decorate his nursery and there was no twisting my arm. The first thing I did was give a vintage rocking chair a makeover and then an IKEA Tarva hack into a Nursery Change Table. But now the room is begging for some finishing touches and so I created a trio of rustic art for a surprise. 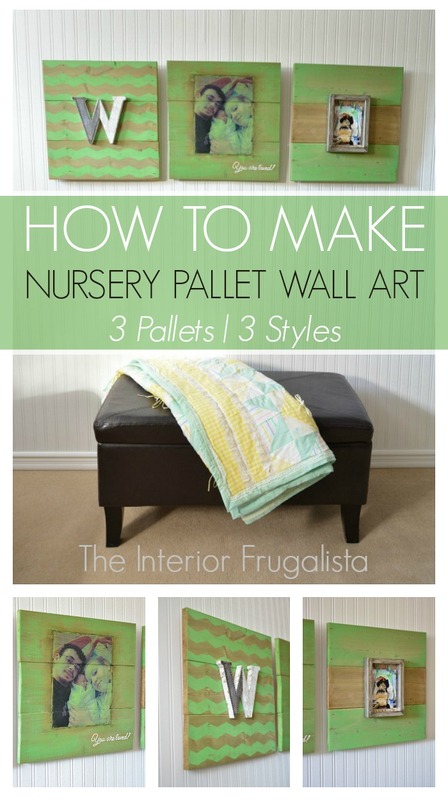 Now that the surprise has been revealed, I thought I'd share a tutorial on How To Make Pallet Wall Art For A Nursery. 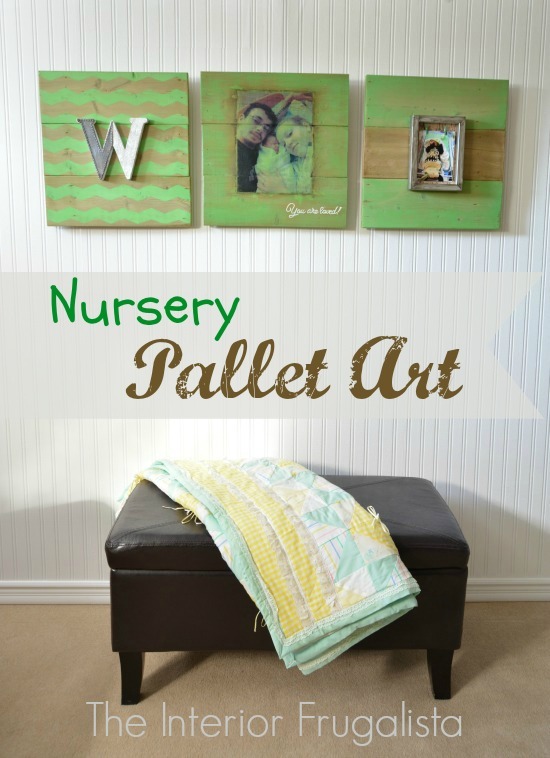 In this tutorial, I'm not going to share how I built them because I shared a step-by-step tutorial last week and you can find it here in my post How To Build Pallet Wall Art. 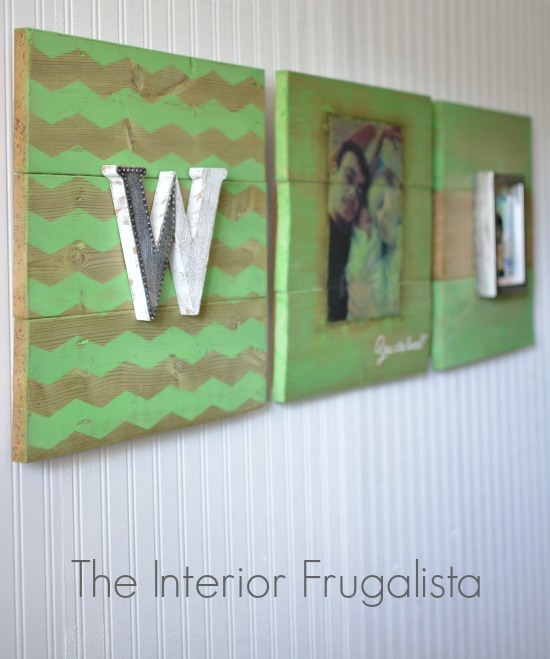 Instead, I'm going to share how I made each individual piece of wall art. 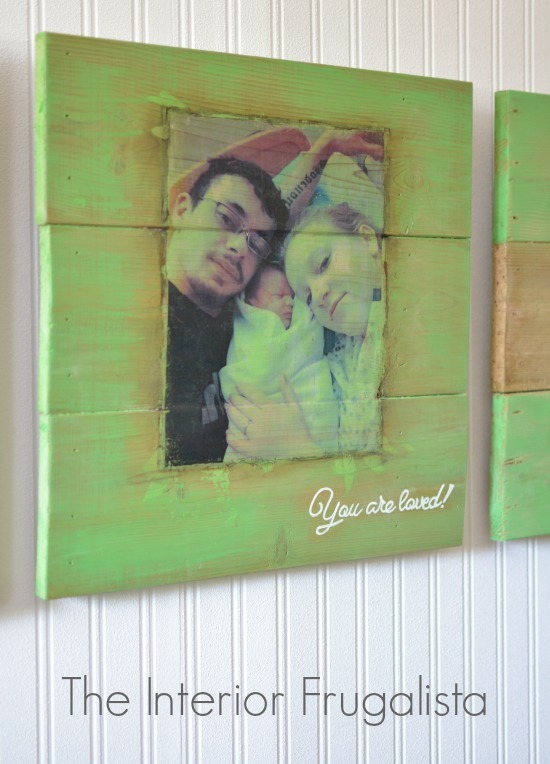 But first I aged the new fence boards used to make the pallet art trio so we'll start the tutorial there. Aging new wood naturally is super easy and you probably have everything you need in your kitchen cupboards. You can use either method below or both, which is my preference. Make yourself a pot of strong black tea using two tea bags. You may want to grab a cup while you wait because it'll be at least an hour before it's ready. The longer the steep, the darker the brew! Let it cool until it can be safely handled. Brush the tea onto the new wood until it is saturated (but not too much that it warps the wood) and let the magic happen while it dries. Reapply again for the preferred patina. Simply pour apple cider vinegar into a lidded container with a pad of extra fine #0000 steel wool. The iron in the steel reacts to the oxygen around it and gives you a container full of lovely rusty water. The longer you let it soak, the darker the water. I let it brew at least overnight but my preference is after 24 hours. Brush the steel wool over the wood and wipe off the excess with a paper towel. Repeat this process until you have the patina you prefer. Let it dry completely. You can see a good example of what the wood looks like after being naturally aged here in my post, Rustic Plank Wood Clock. My preference for aging wood is to start with the tea solution and finish with the vinegar but I knew I'd be painting over the aged wood so I only applied the vinegar solution on these. 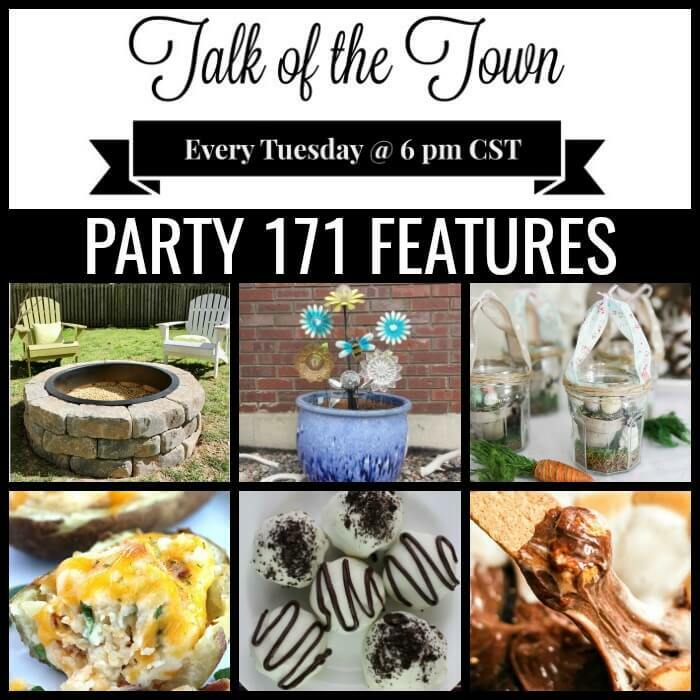 Thin chalk paint with water to the consistency of milk. 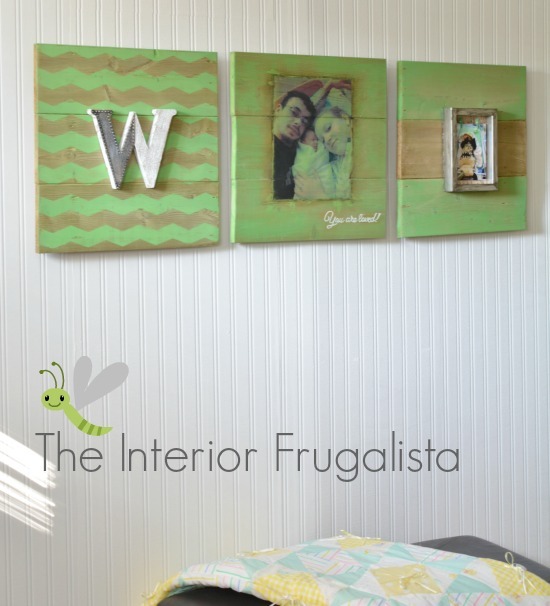 I used Annie Sloan Chalk Paint in the color Antibes Green. 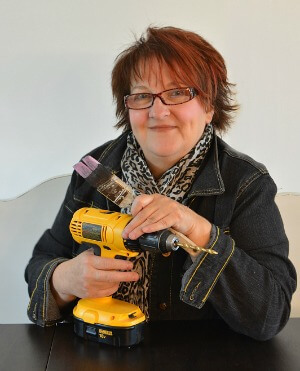 Apply the paint over the aged wood with an inexpensive chip brush. Before it dries remove some of the paint with a paper towel to expose some of the wood underneath. Let it dry and if you prefer a more distressed look, remove more paint with fine grit sandpaper. You may not have noticed - and I hope you didn't because that means my oops isn't that obvious at first glance. Yeah, don't make the same mistake I did. Look closely at the tattoo on Dad's arm. Can you see what's wrong? It's backward. I was paying so much attention to getting a good quality photo transfer that I completely forgot about the tattoo. Look for any obscure text in the photograph first, like a tattoo or clothing with text on it. You MUST print the photograph in reverse! For a detailed step-by-step tutorial on how to transfer photographs or graphics onto wood, press this link Image Transfer Technique Using Transfer Medium. For a step-by-step tutorial on how to add text to the wall art, like I did in the photo below, visit my detailed Image Transfer Technique Using Graphite Paper tutorial. 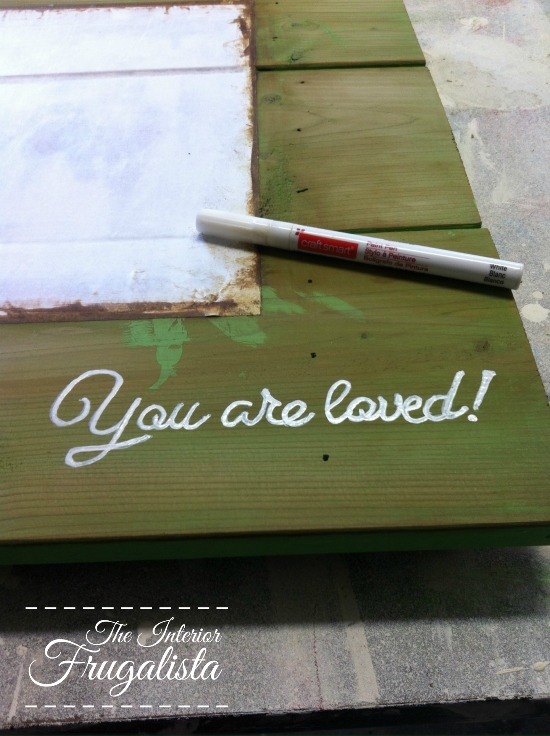 Once you've transferred the text, paint over it with a colored paint pen. It's that easy peasy! Using a foam brush apply two coats of your favorite clear matte polyacrylic, letting it dry between coats. I used Tough Coat by Country Chic Paint on this but you could use any non-yellowing protective finish. 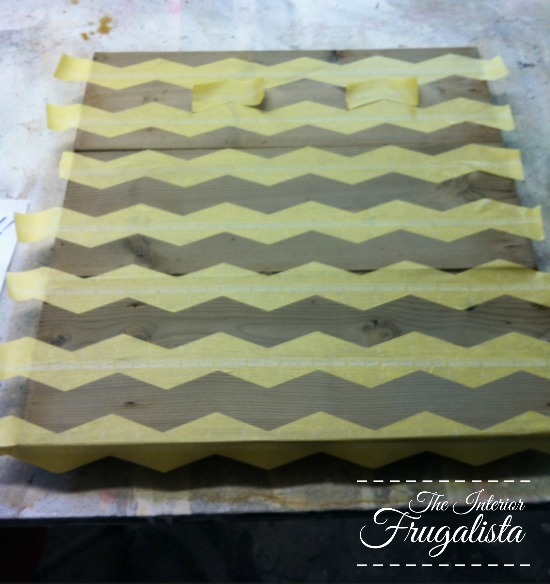 Measure the center point of your pallet and apply a piece of Chevron Frog Tape in a straight line across. From there take two small pieces of tape to use as your guide when applying the next stripe and each one thereafter (as seen in the photo below) to get even and straight stripes. 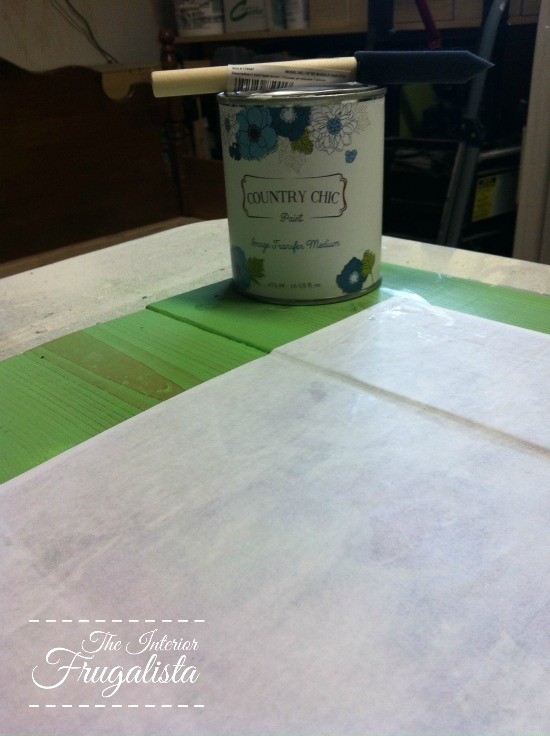 Using a 6" foam roller, apply an even coat of Anne Sloan Chalk Paint in the same Antibes Green. Before the paint dries remove the tape, pulling at a 45°angle. Once dry distress the stripes lightly with 220 grit sandpaper for a rustic worn look. If you want perfect chevron stripes, then eliminate that last step. I found this sweet monogram at Michael's but my intention was to buy a galvanized metal letter but they were out of stock. I love the distressed white finish on one side and the galvanized metal bits on the other. Simply hot glue the letter onto the wood and you're done. For this one, I painted two of the slats (using the same paint technique as Pallet Art 1) but left the middle board natural wood. I purchased 6-inch wide burlap ribbon at Michael's but fabric or paper would be nice too. Remove the glass from the dollar store frame and hot glue the ribbon onto the side that will be visible. Make a little rope banner with twine and hot glue it onto the back of the board, leaving a little slack in the rope. 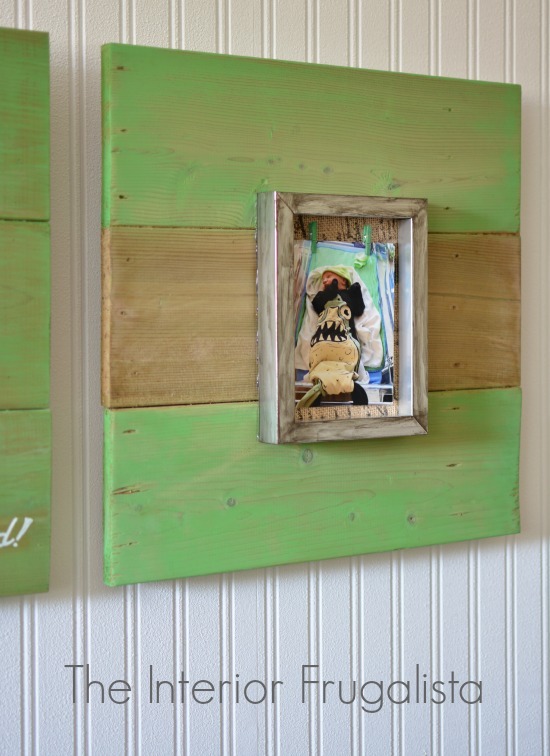 Attach mini clothespins onto the twine and hang your favorite photographs. I love that they can easily be switched out. To give the inexpensive silver dollar store frame a galvanized metal patina, simply rub blackened bronze with a cloth and wipe away the excess. Reassemble your frame and hang a 4 x 6 photograph from the clothespins. 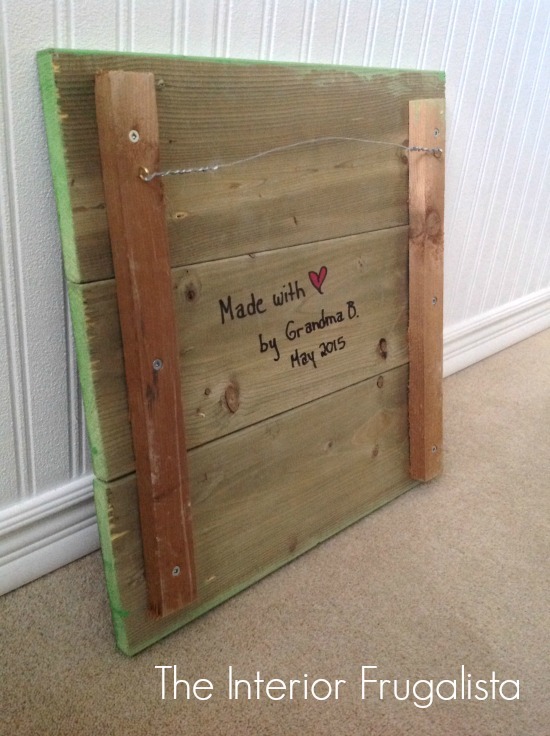 Simply hot glue the frame onto the pallet wood. 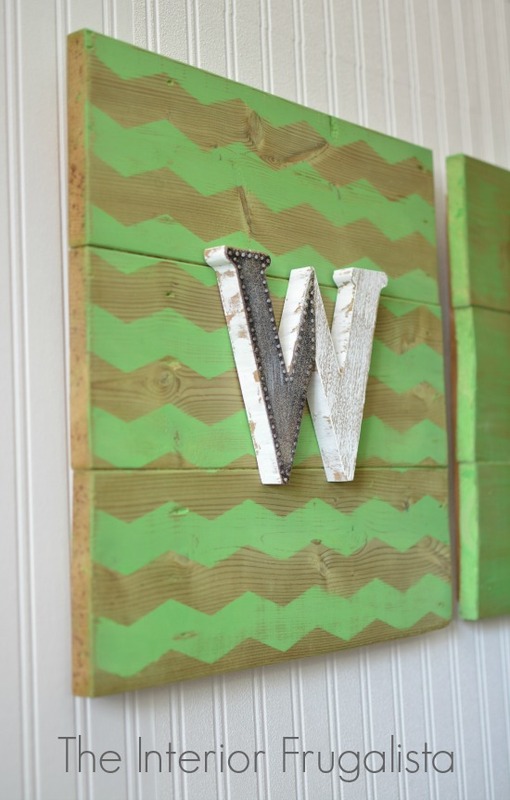 There you have it, a fun trio of Rustic Nursery Pallet Wall Art that won't break the bank. I can't wait to hang these in my grandson's nursery but before I do, Grandma had to add a special note on the back. These could be made for any room in the house. 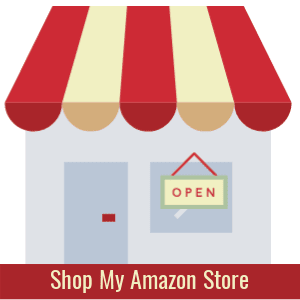 I hope I've inspired you to make some for your home or to give as gifts.